The Large Hadron Collider (LHC) is the world's largest and highest-energy particle accelerator. The LHC lies in a tunnel 27 kilometres in circumference, as much as 175 metres underground. The LHC was built by CERN with the intention of testing various predictions of high-energy physics. The collider tunnel contains two adjacent parallel beam pipes that intersect at four points, each containing a proton beam, which travel in opposite directions around the ring. Some 1,232 dipole magnets keep the beams on their circular path, while an additional 392 quadrupole magnets are used to keep the beams focused, in order to maximize the chances of interaction between the particles in the four intersection points, where the two beams will cross. In total, over 1,600 superconducting magnets are installed, with most weighing over 27 tonnes. In the early 1990-ies INCAA was asked to develop, manufacture and install the data-acquisition system of the test benches for the superconducting magnets. On the test benches, that are developed in close collaboration with CERN, the magnets were cooled, tested and trained before they were installed in the tunnel. The electronic equipment of the original test benches is based on VME technology and is still operational. But now it will be modified to be ready for the planned upgrade of the LHC. 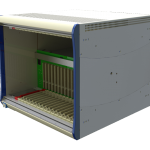 The new test benches will be based on modern 6U high CompactPCI technology. 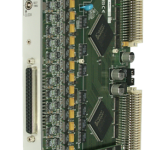 For that INCAA has designed a new transient recorder/ADC module, the TR14, which forms the most important part of the test system. 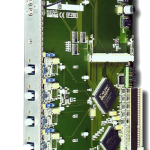 The module is a simultaneous sampling 16 channel 200kHz ADC module with an isolated frontend and very high input damage limits. 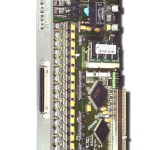 Also COTS digitizers are used and INCAA has designed the signal conditioning electronics for these boards so they are now more robust and provide PnP capability. 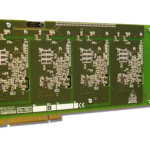 A total of 520 analog channels per test bench will be sampled and analyzed in software. The software for control tasks and data analyses will be developed with LabVIEW and LabVIEW-RT.